Shoun said he lived the best that he could. He couldn't live in the monastery, he bought fish for his mother, he played music and he visited a woman of the streets. He didn't follow the rules that the other monks followed. But he was doing what was required in each situation. He wasn't embarrased about visiting a woman of the streets. He was a man of much personal integrity. It seems easier to defend one's actions when those actions are according to some law. But that is not what Shoun did. He was true to his own heart and did what the moment demanded. But Shoun was perfect in another sense. He had responded to each challenge in his life with a open hand and gave to it what was demanded. He went against the rules because this allowed him to give what was needed of him. I have a sister who, like Shoun, is not seduced by authority. She broke most of the rules in the book, and probably some laws along the way. But she was always there for her friends, and now is a helpful and loving psychoanalyst. She shunned most if not all the good advice that her parents were so willing to give to her. How do we navigate the rules of society and the rules of our institutions and still walk proud? What was it in Shoun and my sister that allowed them, as they heard “the beat of a different drummer” to walk so confidently down the street. “Without shame,” my sister would add. 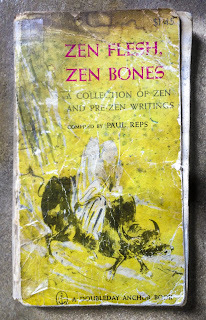 *101 Zen Stories is a 1919 compilation of Zen koans including 19th and early 20th century anecdotes compiled by Nyogen Senzaki, and a translation of Shasekishū, written in the 13th century by Japanese Zen master Mujū (無住) (literally, "non-dweller"). The book was reprinted by Paul Reps as part of Zen Flesh, Zen Bones. Well-known koans in the collection include “A Cup of Tea” (1), “The Sound of One Hand” (21), “No Water, No Moon” (29), and “Everything is Best” (31). (From https://en.wikipedia.org/wiki/101_Zen_Stories. 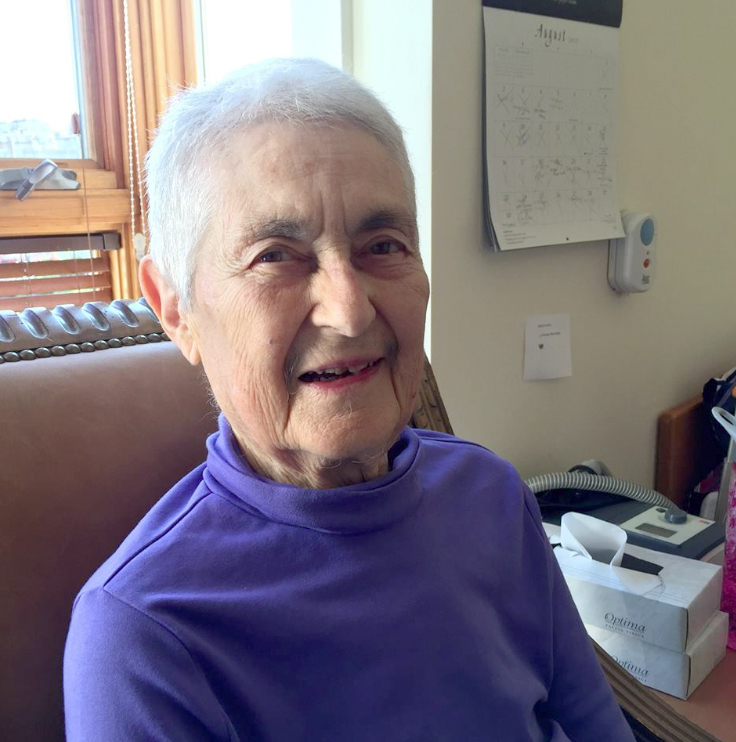 (Blanche Hartman is a Zen priest at the SF Zen Center. Our AZC temple was named after her, and she transmitted the two head teachers that have been/is at AZC. Our temple is named after her. Why didn't anyone tell me that? Actually there was a guy (Leo Buscaglia) who preached love. He had a college course called love and it would fill every semester. But generally we are led to believe that other stuff will make us happy, like having an ocean view, a college degree or lots of money. Love will tell us what something needs. My wife will look out the window and hear one of her plants screaming for water. She'll drop everything to give them a drink. As we pay attention to ourselves and the world we would naturally care for things. We would handle thing “gingerly.” We would evaluate our actions as to whether they were an expression of love or not. And this is where it can get a little hairy. I put out poison so our house isn't a den for cockroaches. Is that love? Maybe for us, but not the blessed little creatures. I had a friend who did things on autopilot, or so she claimed. We've been there, driving long distances and being surprised when we get there. I read this morning that what keeps us procrastinating is impulsive behavior. Sometimes I rationalize that it is more important to do something rather than the task at hand. That something might be going to a gym or looking out the window. And after looking out the window, I need to walk around a little... perhaps to explore what is in the refrigerator or to see if we have received any emails. Soon 70 years have passed, and the job is not done. Funny how procrastinating one minute can become an hour, a day, a week, a month, a year, a decade, and then a lifetime. The impulsive behaviors become riding a horse with a mind of its own. I am holding the reins, but the horse has a mind of its own. I think that one more trip to the fridge won't set me back more than five minutes. What's five minutes in a lifetime? And then that five minutes insidiously becomes a lifetime. There is a Zen saying that when you are hungry you should eat and when you are tired you should sleep. Is that saying that I should go wherever the horse wants to go? “What shall I do now, what shall I ever do?” TS Eliot wrote that in the wasteland. We look back and see that we wasted time. How did the horse take charge? I suspect that an untrained horse just follows it impulses. A good trainer can teach a horse to obey the rider's whims. But what is involved in training my horse? P.S. Since I wrote this last Tuesday I’ve been feeling that I’ve been run by impulses. Today I turned over a new leaf and took the bull by its horns. We’ll see who wins.